Not a day goes past without some form of DPF tweet, email or message from fellow motorists suffering at the hands of a clogged filter. Normally its the same old thing but yesterday I got an email that broke the trend. I found a button that looks just like this – what does it do? I’ve seen my fair share of dashboard DPF warning lights but this is something else! That little button right there is a manual DPF regeneration / cleaning button. It’s used to perform a manual DPF regen on the filter whilst the car / truck is stationary, a bit like a dealer regen but without the fancy laptop / equipment. My Googling suggest that these are more commonly seen in trucks and 4×4 vehicles that may not be able to reach the conditions required for a “rolling” DPF regen due to either environmental (being drive off road) or restricted speed i.e. towing. How / when do I use it? The DPF regeneration / cleaning button should be used when the DPF warning light illuminates on the dash WITHOUT the EML / Check engine light. This warning light shows that the DPF has reached its defined limit of particulate matter and needs attention or in simple terms – it’s blocked. The procedure for using the button may differ from vehicle to vehicle but the steps below seem to be the norm. Firstly make sure you are in a well ventilated area, preferably outside. Make sure that your vehicle is not parked over dry grass or any other matter that may burn or catch fire. The DPF regeneration process will cause the filter to get EXTREMELY hot. When the conditions above are met the engine revs should rise as the process begins. It can take anywhere from 5 minutes to over an hour depending on how blocked the filter is. During this time you should keep an eye on the engine temperature and make sure it does not overheat. The fans should cut in to prevent this however we suggest you stay with the vehicle to prevent damage caused by overheating. Once the process is complete the DPF warning light on the dash will disappear and the revs will return back to the normal idle state. This process may differ so we strongly suggest that you seek advice from your main dealer or specialist on it’s use. If the EML / Check engine light is on or the vehicle is in a LIMP or restricted performance mode then chances are it’s too late for your fancy button to work. Should I change the engine oil after the DPF clean? Much like a dealer regen we suggest that the engine oil should should be changed after a DPF regeneration. 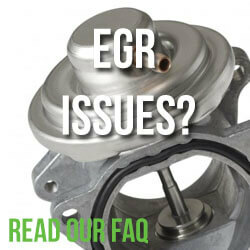 This is due to the extreme temperatures the engine is subjected to during the process. We suggest that it is replaced with a quality oil that is low in SAPs (Sulphated Ash). 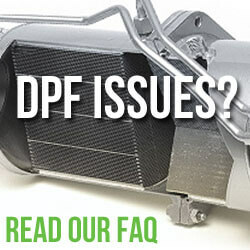 More on that in our hugely popular DPF FAQ page. Why don’t all cars have DPF cleaning buttons? During mixed driving it’s expected that most vehicles should meet the conditions required for an automatic DPF regen. Most people are unaware the process is happening unless the DPF warning light comes on. If the light does appear then in most cases it’s to indicate that the automatic regeneration process has failed and you are required to go for a DPF regeneration run. Vehicles such as large trucks and 4x4s often spend a large proportion of this life at much lower speeds than is required for an automatic regeneration – thus have a button. 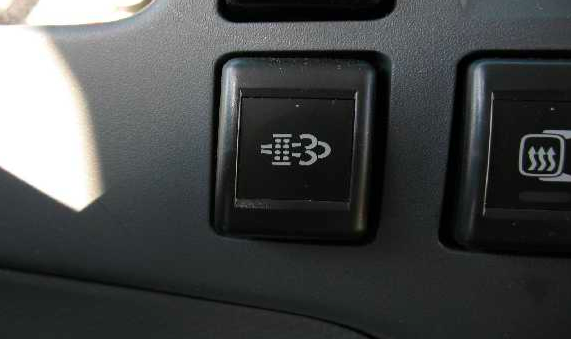 If you have a magic DPF button or any experiences with it then please do get in touch in the comments below. I have Nissan caravan E25 .all ways showing DPF light tell me what shall I do. Where do I get the button?